Hi, my name is Tres Adames and I am a Master's-level Board Certified Pastoral Counselor and the Founder and Director of Arizona Christian Counseling. I specialize in working with individuals struggling with emotional and relational issues. 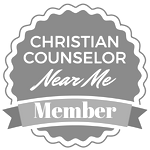 I am certified (BCPC #0791) by the Board of Christian Professional and Pastoral Counselors. I received my Master of Divinity (MDiv) from Wesley Biblical Seminary, and Bachelor of Arts from Asbury University. 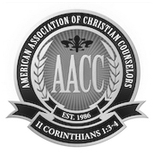 I am a member of the Association of Clinical Pastoral Education (ACPE) and the American Association of Christian Counselors (AACC). I previously served on the Board of the Pacific Region of the American Association of Pastoral Counselors (AAPC) before it was consolidated into ACPE this year. I previously worked at Arizona Baptist Children's Services and Family Ministries, and on faculty in a teaching assistantship in the College of Theology at Grand Canyon University. I specialize in one-on-one individual counseling. I seek to be nonjudgmental and unshockable as a counselor. I especially enjoy working with teens and college students. I am comfortable discussing difficult topics and enjoy helping young people through the angst and confusion that comes with adolescence. When I was a teenager, my parents divorced and I struggled with being bullied. I dealt with a lot of confusion and hopelessness during those years until I sought the help of a counselor. I have a desire to help those struggling with emotional issues after going through my own spiritual journey of healing and transformation. After college and seminary, I felt called to help others discover hope and renewal for themselves, and founded Arizona Christian Counseling several years later in 2012. What's holding you back? You can email us, book an appointment through our online scheduler, or call us at (480)525-7284. Let's start today.